Lori Underwood (MiMi) is a 40-something ;) living in Northern PA. Lori is at that stage in her life, where it's finally her turn! She has given so much of herself to so many people over the years, including raising her niece as her daughter. Proud moment for MiMi was Lorianna graduating (June 1, 2018) from Loyalsock High School. Congratulations Lorianna! Along with blogging, Lori is currently pondering the idea of selling her homemade soaps. She has given sample soaps away to friends, family members, co-workers, and strangers, and her star scented soaps are very popular! She is hoping to earn money from blog affiliates to help fund the her home-made soap business, "it takes money to make money”! Sharon: How did you decide on your website name Mimisoapdish.com? MiMi: My nephews refer to me as MiMi at home, so I decided to go with MiMi, the name is endearing to me. Soap because I make home-made soaps. And then dish, because I love to talk! I literally wear people out with my talking! Thus, when you combine them all…voilà you have Mimisoapdish.com. MiMi: I am naturally a creative person, it kind of runs in the family. My ideas are literally endless, and when it comes to soaps...well there is an abundance of shapes, and scents you can make: butterflies, seashells, roses, for kids: Legos, robots...it just goes on and on. I haven't yet made those yet, I make what's in demand right now. For me, that would be my star scented soaps and beautiful flower soaps, us women love these! I also I listen to people a lot and you find out a lot about them and what they like, they may say something that triggers an idea, and I'm like bingo! That's it! Sharon: What are your Top 3 skills? 1. Drive - I will tackle a project to completion, no matter how complicated! 2. Enthusiasm - You must be excited about what you do, if you are not thrilled about it, why would anyone else be! 3. Honesty - You should be honest in business period! Your customers must trust you! Sharon: How has being a blogger affected my life? MiMi: It has enriched it. I always wanted to be a writer when I was little and like I said I love to talk! I have a million random things going through my head all the time, blogging has helped me to get those thoughts out of my head and share them with others! Sharon: How long do you stick with an idea before giving up? MiMi: I either sink, or swim...in other words if I have an idea that I believe will work, I'm in it to the end! Sharon: What does your typical week look like? MiMi: I work for the school district, so normally I’m at work between the hours of 9:00 and 2:30. I have an elderly mom who lives with me, so I tend to her needs. I have religious meetings I go to on Tuesday and Sunday. I make sure I blog on Monday, Wednesday, Thursday and Friday. As a fellow blogger I’m sure you know how much time is invested in blogging, and in the beginning I found myself putting way too much time in. I believe you have to have some "me time" so my new rule is ABSOLUTELY NO BLOGGING ON SATURDAY AND TUESDAY PERIOD. I make soap when I have the time, and try to take pictures to post on my site. I am self-branding, it's fun and challenging but I think I'm going to make it. 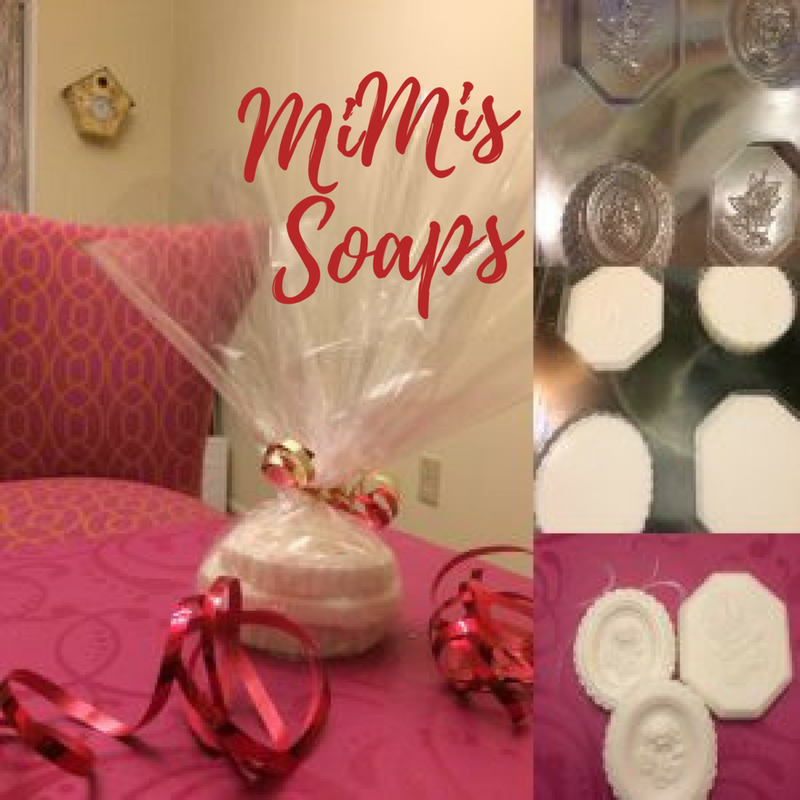 Mimisoapdish.com is all about family, clean dish and soap! Sharon: What is your greatest fear? MiMi: This is hard...Not being able to make a living doing what I love! I love children, don't get me wrong, but it does not generate the income I need. I would love to make money from sharing with others whether its soap, candid interviews with working moms (Sharon's), selling books (that is another goal to write a couple of e-books) or whatever it is! Sharon: What is your biggest mistake? MiMi: In the past, I have had my own business in California, it was a home daycare. I was wayyy to nice to people, giving discounts to multiple people. It's okay to have compassion for people, but not at your own expense! I suffered from that, some of these same people I gave discounts too, still didn't pay me! So what was the point? I have learned that being smart about business is what is going to help me succeed. I have never saw successful business people let people walk all over them. You must be strong, and being strong doesn't mean you're unkind but you can't let people get over either. I also learned that money doesn't grow on trees. The money I made in California, I was spending like I was Rockerfeller! Moving forward I will save, and not frivolously spend money. MiMi: I want to have my own at home business, not to have to clock in & out, and make money for myself! Hope you enjoyed getting to know MiMi, check out her website!